CFO Systems announces the addition of a new director in its Omaha office. 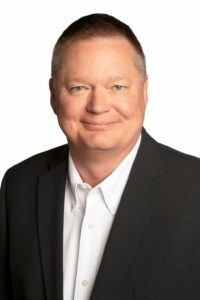 Doug Hiemstra is a driven leader with over 30 years of experience in senior and C-level financial and operational roles. He is highly skilled at propelling revenue and profits,managing talent, and executing strategic and operational plans, significant M&A, and organizational restructurings. Doug is a trusted and respected communicator who rallies teams around organizational goals while instigating financially savvy and decisive actions in the best interest of a healthy P&L. “We are pleased to add Doug to our Omaha team. At CFO, we continue to focus on offering diverse experience that helps our clients achieve their goals and grow,” said Brett Frevert, CFO Systems Managing Director. CFO Systems is a nationwide company founded in 2005 to provide practical, experienced financial and human resources leadership to middle-market organizations. The firm was named to the Inc. 5000 list of America’s fastest growing companies for four consecutive years. Its offices are located across the country in Omaha, Seattle, Colorado, Iowa, Kansas City, Tampa, and Hartford. For more information, visit www.cfosystemsllc.com or call 402-884-0066.